It's that time of Matthew when Jesus and the disciples gathered together in the upper room to have the last supper. This is one of the most sacred times of the faith, as congregations all over the world take the sacrament of Jesus' last meal. As an ordained minister, I have the sacred privilege of leading others into this beautiful time of commitment and reflection. There are a few times in the faith where all believers "do" the faith. Baptism, the process of publicly displaying one's decision to follow Jesus, and Communion. Both, equally awesome as followers show their commitment to the world. 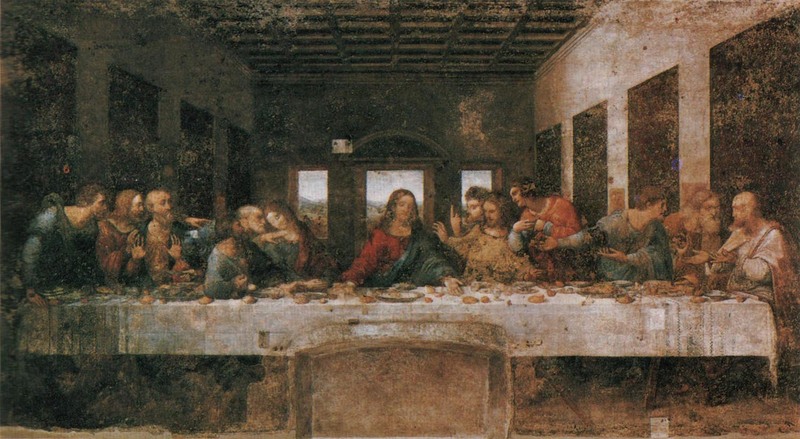 A few years ago, my pastor challenged the congregation concerning the last supper. He told us the dinner Jesus and the disciples took was probably a bit more solemn, as Judas just announced his betrayal. But the communion we celebrate together should be just that, a celebration. It's one of a few events ALL believers take together. The meaning of the dinner is not one of disgrace, rather; it's a celebration of new life. For Jesus came into the world to save the world. He came to stamp a new world into the old one. He came to change everything we know to be true, and develop a new life where the world can reconcile back to God's intended purpose. It was as though I was seeing life in a new light. Communion was more about celebration than mourning. It was a time where the "body" of Christ can come together, and celebrate all the good that comes from Jesus' life here on earth. From that time forward, every time I'm in charge of the communion meal, we strive to make it a celebration. A celebration of new life. A way we can all rally around our common cause. May you celebrate the life of Jesus in this New Year!